The Law Office of Xavier Morales, transacting online as SecureYourTrademark.com, has seen solid growth over the years since inception in 2007. The total number of trademark applications filed since then is approaching 5,000 trademarks, making SecureYourTrademark.com one of the busiest trademark law firms in the country. In eight short years, SecureYourTrademark.com has quickly become a nationally-recognized “Top Trademark Firm” by Intellectual Property Today, and trademark attorney Xavier Morales has been recognized as the No. 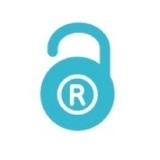 1 Trademark Attorney filer in the U.S. by The Trademark Insider. SecureYourTrademark.com expects to keep growing and helping small businesses and entrepreneurs in securing their trademark rights at affordable flat-fee rates.